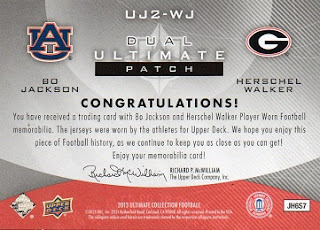 A nice looking memorabilia card of two of the best power and speed guys to ever play college football. Both Heisman winners to boot. 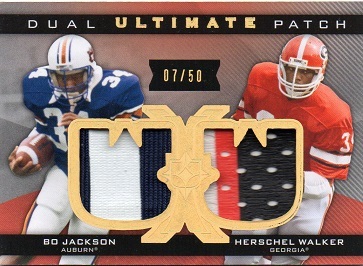 This is card #596, as I try to get 600 different Herschel Walker cards. It is serial numbered to 50, with this being #7.